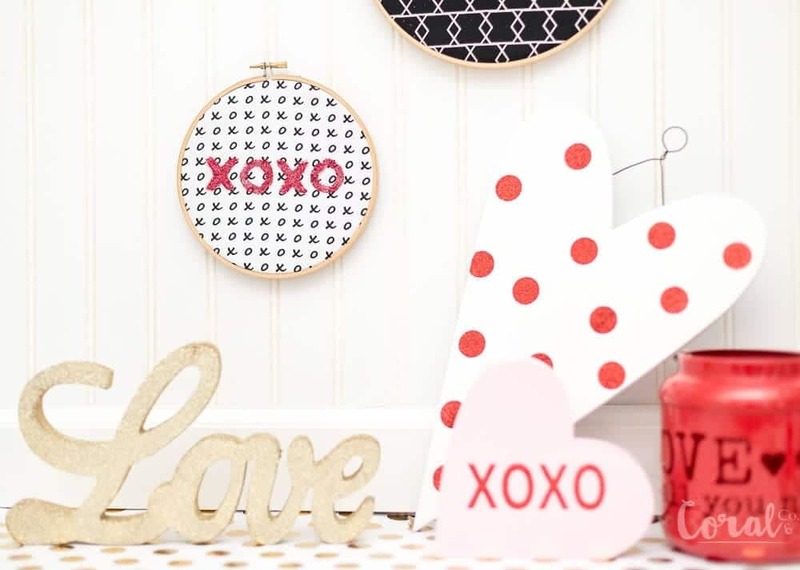 Valentines Day Hoop Art - with Free Cut Files - Coral + Co.
Valentines Day is just around the corner and I’m all craft happy with x’s and O’s and of course lots of hearts. I also love the look of hoop art so I thought a little glitter was in order for some easy Valentines Day decor. 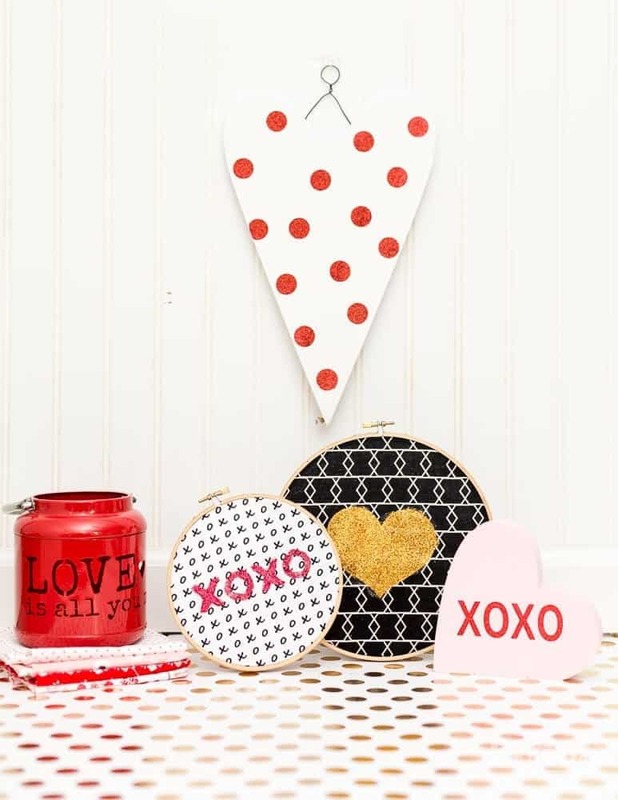 I have an easy Valentines Day hoop art tutorial with free svg cut files for the template. You can use these to apply the glitter or you can reverse them and use them to apply iron on. I will make a tutorial doing it this way a little later. I also made it super easy to center them by making a circle template, which you can adjust to the correct size of the embroidery hoop that you are using. If you follow me on instagram you will have heard me talk about how much I love all things hearts. So naturally Valentines Day is one of my favorite holidays to sew for. Some of my favorite Valentines Day projects are my heart block mini quilt, these dresses I made for the girls last year, this patchwork t-shirt applique, and my favorite geranium dress ever! 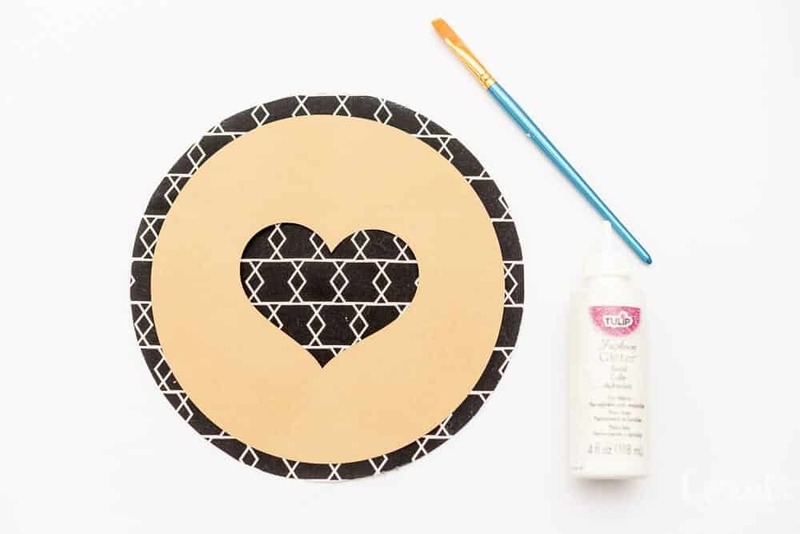 Print the heart template on cardstock or adhesive vinyl. If using vinyl you will need to print it mirrored. Cut fabric circle 2 inches larger than your embroidery hoop. Place stencil over the fabric circle. If using cardstock, you can use a glue stick to help hold it down. If using adhesive vinyl rub stencil down firmly on fabric. 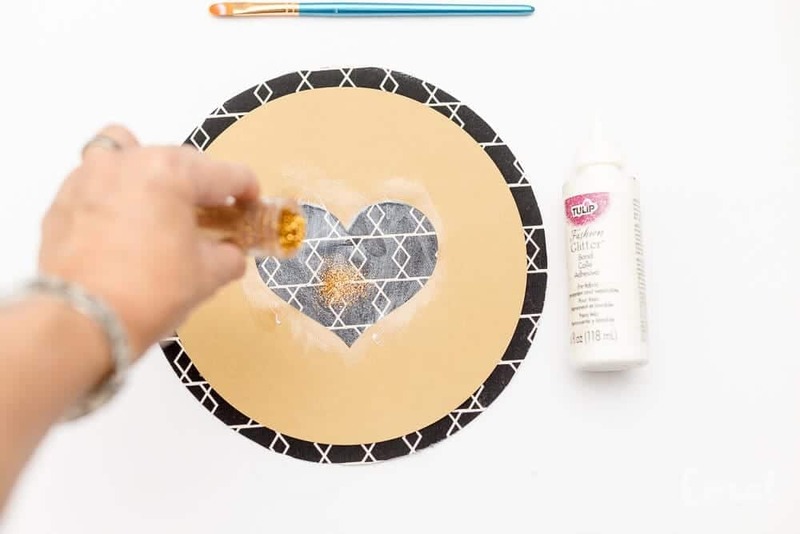 Using a paint brush spread glitter bond fabric glue on heart. Be sure to press down firmly on the heart edges as applying to prevent glue bleeding under. Spread generously, and remove excess. 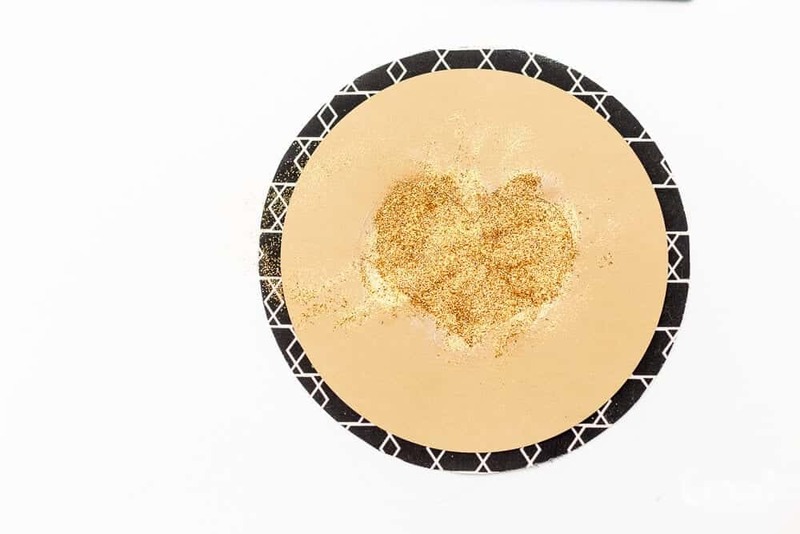 Sprinkle glitter over area where glue has been applied, being sure to coat evenly. Remove stencil. Use a wet paper towel to remove any glue that has bled under. You can use the tip of a pair of sharp scissors to scrape away any uneven edges. Place in hoop and decorate! You can find the templates at the end of the post.